Two years ago my then boyfriend persuaded me to go on a ski holiday. Let’s say I had some little reservations about it, I’d only ever been on beach holidays, forty years old, not exactly sporty so totally out of my comfort zone. So there I was stuck up a mountain, trying to impress my new man who skied like a pro. I was more Bambi on ice and my final day resulted in me threatening to throw a ski at his head. But for some reason I wanted to do it all again. This is now my second trip to Morzine with my then boyfriend, now my husband. 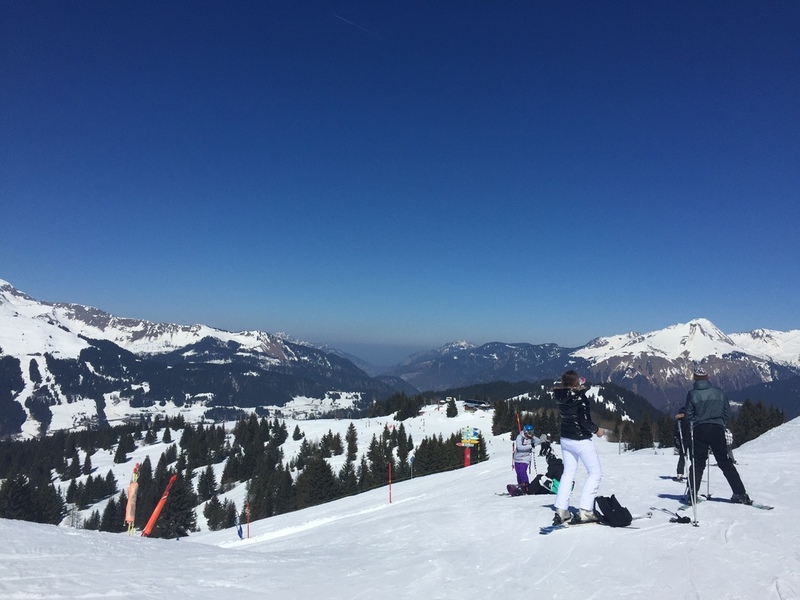 Morzine is in the French Alps but you can actually ski across to the Swiss Alps which is pretty cool. I’m not quite there yet, more tearing the slopes up with five year olds! It’s a great location for a group of people that are on different skiing levels. I found it to be one of the best when you're a beginner. You really do feel amazing when you're up there. The views are so dynamic and beautiful that they don’t look real. The air is so clean that any hint of last night’s après-ski disappears. Just wish my helmet hair would! I chose the Brown Bear Lodge for our accommodation. It’s a chalet that you can hire out as a whole or just one room, if you prefer. This was our second visit as we were so impressed last time and found a catered chalet works best with a large group of friends, in our case, ten of us. The rooms are clean and cosy, the communal areas are large and comfortable. It has a fun jacuzzi outside which helps those aching muscles or encourages some post dinner drinking.The food is great, cooked breakfast, tea and cake in the afternoon followed by a three course dinner in the evening. The staff are friendly and helpful, dropping and picking you up from the slopes whenever you want. 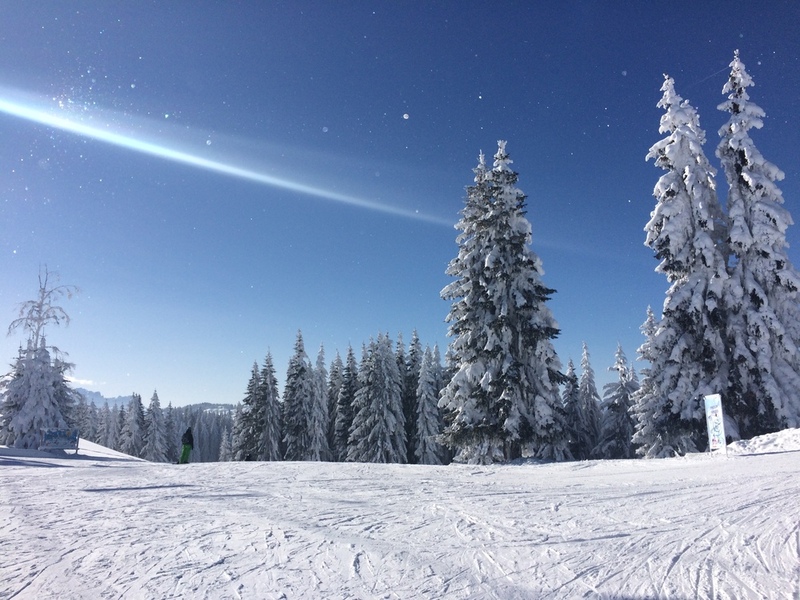 Get a Lift pass that covers you for all three areas, Morzine, Les Gets and Avoraiz. They will all give you a different adventure. The best Après-ski is at the bottom of Avoraiz. It’s only once a week so double check what day. It was Thursday when we were there. For a late lunch when you’ve finished skiing Le Tremplin. Perfect to wait for your friends at the bottom of Pistes Du Pleney. For dinner Le Clin D’Oeil. Great food and menu to suit everyone.